Over the last ten years, technology has transformed almost every aspect of our lives before we've had time to stop and question it. In every home; on every desk; in every palm - a plasma screen; a monitor; a smartphone--a black mirror of our 21st Century existence. 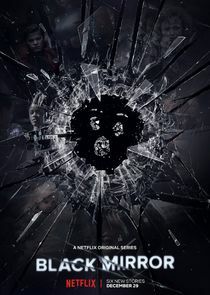 Black Mirror is a contemporary British re-working of The Twilight Zone with stories that tap into the collective unease about our modern world.